Update: Funimation has confirmed with me via e-mail that they are NOT dubbing either show, nor do they have the rights to. So both of these are bunk. I’ve gotten a bit of news about both of these lately. Neither are confirmed, but we will see. First up we have Shaman King, which 4kids previously had. It appears Funi is already dubbing this with plans to release it next year. No idea if 4kids has anything to do with it, as very recently 4kids was still mentioning Shaman King in financial and legal reports (a month ago it was still listed in their financial reports), but there is no longer anything Shaman King related (even copyright information) on the 4kids website, which suggests 4kids doesn’t have the license anymore. 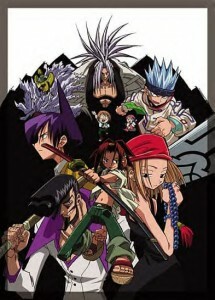 I wouldn’t be surprised if both were true, but at the moment, Shaman King is seeming VERY likely. 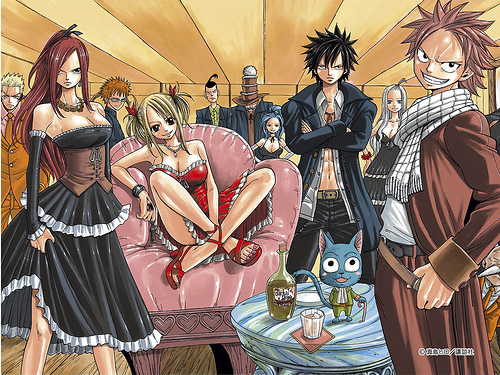 Fairy Tail… slightly less so, but since no one but Viz or Funimation were ever going to get a long running shonen title, it’s a bit to easy for people to pass off ‘assumptions’ as news..
As always, take your news with a grain of salt.